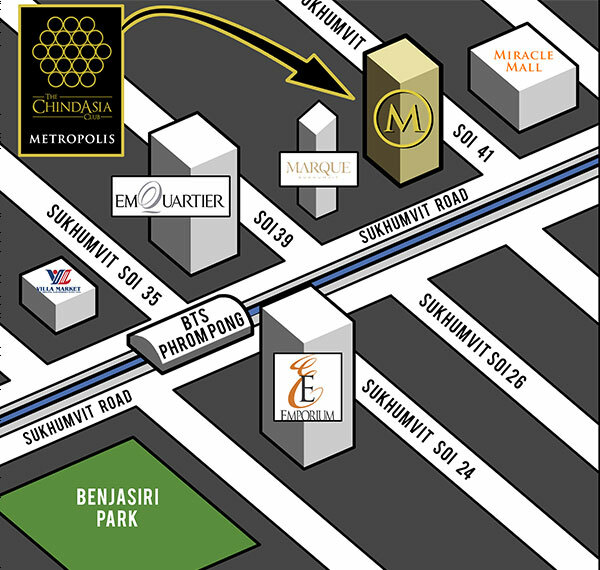 ChindAsia Club is conveniently located in the Metropolis Building at 725 Sukhumvit Road in Bangkok, Thailand. Parking is available for Members and their guests in the parking garage of the Metropolis Building, with reserved parking directly behind the ChindAsia Club. 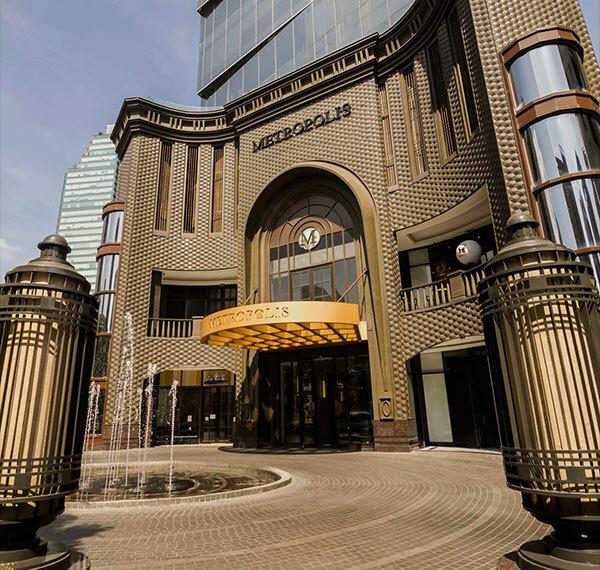 Members arriving by driver or taxi can alight at the Metropolis Building lobby and take the private lift to the ChindAsia Club. Valet parking is also available.